Christmas Hearts is a special gig hosted by Whelan’s on 11th December. 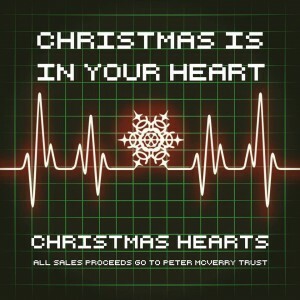 The gig, in aid of Peter McVerry Trust, will celebrate the release of a charity single performed by various Irish artists. Featuring Conor O’Brien from Villagers, May Kay from Fight Like Apes and Niall from Bouts on vocals, the band is made up of Enda from Paddy Hanna on drums and sleigh bells, Brian from So Cow on bass, Shane from Land Lovers on sax and Jim from Spring Break on keys and bells. The single will be available at HMV and Tower Records soon.